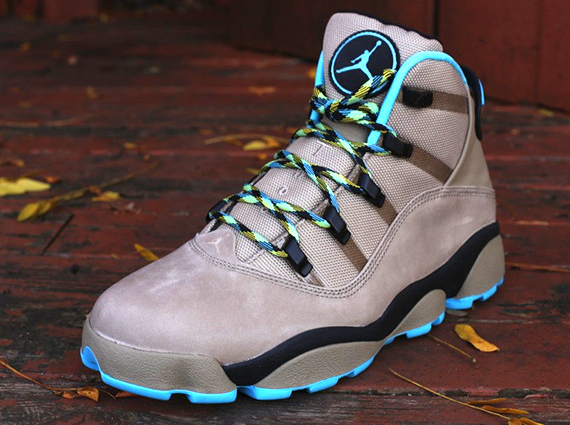 Just in time for the fall season is this all new winterized take on the popular Six Rings hybrid by the Jordan Brand. Borrowing design elements from MJ's signature footwear, the Jordan Six Rings celebrates all of Michael's career titles with the Chicago Bulls. 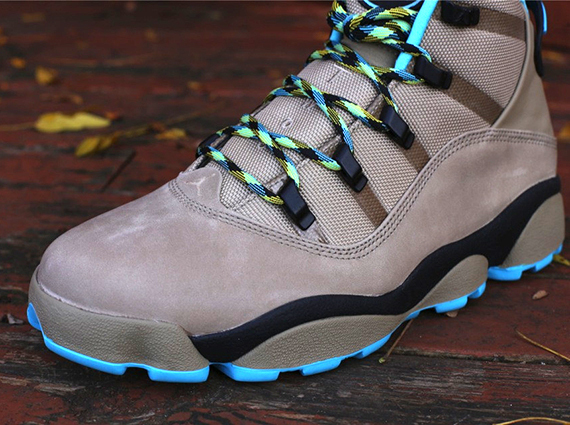 Khaki covers most of the weather-friendly nubuck upper, while gamma blue hits the tongue branding, collar lining and parts of the outsole. 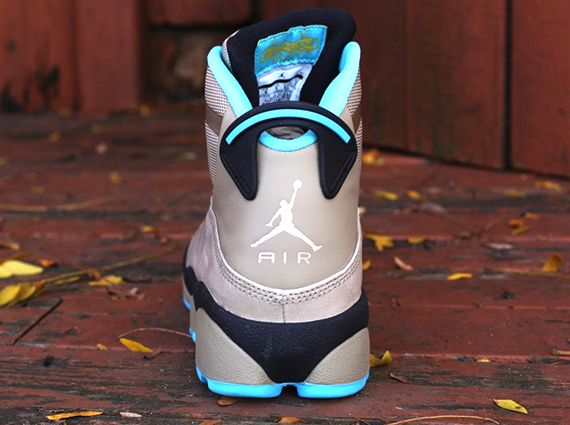 Varsity maize tops them off, hitting the striped laces and inner tongue detail. 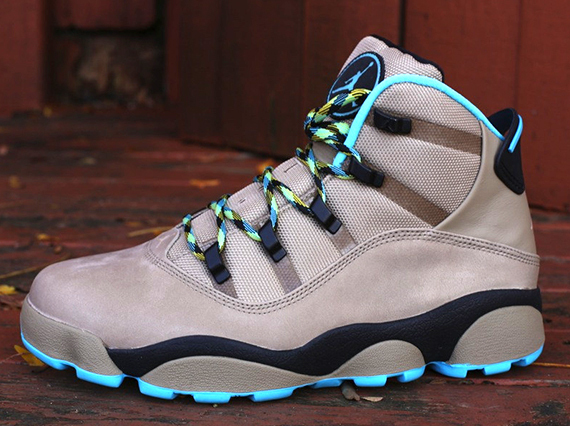 The Khaki/Gamma Blue-Varsity Maize Jordan Six Rings Winterized is now available at select spots such as Oneness.